Lately, I’ve been re-evaluating my journaling set-up (discussed here and here) and trying to decide how to proceed in the new year. There’s always room for improvement, right? As a stationery addict, I should try new things, no? Do I buy the 2016 Hobonichi or try the Midori Traveler’s Notebooks? Should I make my own planner? Should I continue using Field Notes the same way? My indecisive heart/mind have so many questions to answer, I’m clearly torturing myself. What better way to procrastinate deciding than to read about other people’s journaling set-ups? These blind-embossed Field Notes were made for a conference called Brooklyn 1.0 earlier in October. An interesting conference and a swoon-worthy Field Notes edition. Word on the street is that they may have these available for purchase through Aaron Draplin sometime. To say I want them would be the understatement of the year. Thanks to Roy for bringing this to my attention! There are some Midori products in this round of reviews, including the leather MD Notebook Cover. So gorgeous, especially as photographed by Andrew Kim. 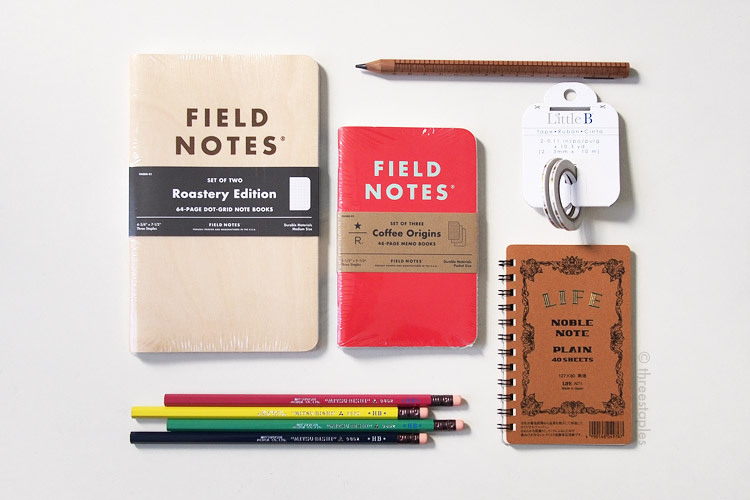 Assorted Writing Pencils by RIFLE PAPER Co.
Rifle Paper finally has pencils! These look gorgeous with their signature floral patterns and bold design, but I wonder how their quality is. 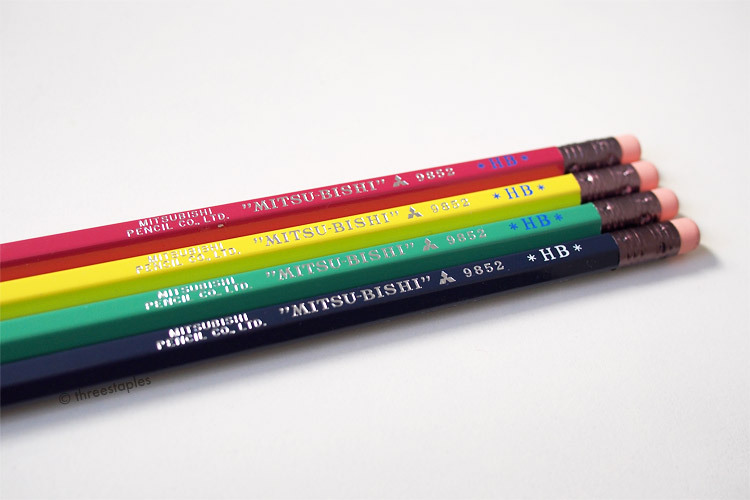 I’m a bit skeptical of branded pencils like these with no information on who manufactured them, but judging purely by the price tag, it can’t be bad? One can hope. Someday I will stop adding limited editions from far away places to my wishlist. For now, looking doesn’t hurt, and I thought this was an interesting collaboration. It’s between LIFE Co. and Kira Karacho, an atelier based in Kyoto specializing in woodblock-printed paper. I’ve walked by (and admired) that awesome, green cloud pattern at the Cocon Karasuma storefront many times without knowing anything about it, and now I do, at least a little bit. Agreed! I’m thankful I get to interact online with a small group of people with similar interests, and that it's been a positive experience so far. And I'll do my best to keep it positive and to be a decent human being.